Departure Point: Paris via train. Bordeaux three-day tour includes: private guided tours and guide service, wine tasting, train tickets, transfers to train station in Paris. 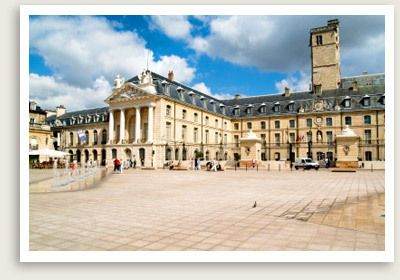 Accommodations: For this overnight stay, we recommend staying in Bordeaux. We will make a hotel reservation on your behalf. You will enjoy a leisurely first day in Bordeaux, your first stop on your three-day tour of this historic wine-making region. The historic center of Bordeaux, recently declared an UNESCO World Heritage site, is a delight to explore. Thanks to the bold and ambitious urban planning imposed by 18th century royal courtiers, Bordeaux boasts a number of fine examples of Renaissance architecture. You will discover the most important of those buildings on an afternoon walking tour, including the Grand Theatre, the Tourny alleys and fountain, Quinconces Square (Europe’s second large city square), St. Andrews Cathedral, the Town Hall and more. Time permitting, you may also visit the Grand Theatre and wine museum. Today you will explore the region of Medoc, which produces some of the most renowned reds in Bordeaux. 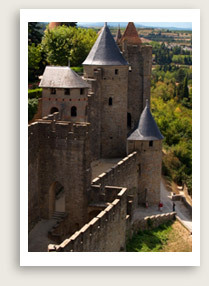 Today, you will get to sample wines in some of the region’s cru classé (classified growth) wineries and castles. The cru classé designation is reserved for top-ranked vineyards in the Bordeaux area. In the morning, we will follow the castle route, encountering such architectural beauties as Mouton Rothschild or Château Margaux. Your guide will select a few choice “cru classé” wineries for you to visit. Chateau Agassac offers a range of imaginative tours, from wine and chocolate pairing to an open-air tour designed to teach visitors about wine making and the property’s history in a fun and interactive way. There is also the lovely Pontet Canet with its 18th century vat room and horses that help cultivate the vines. Our day concludes with a tasting session at La Winery to discover your “Wine sign.” La Winery offers some 2,000 different products from all over France so you don’t have to travel to taste them. You can enter your favorites into a computer to find out your wine sign –whether Trendy, Senßsual, Aesthetic or Forceful. Return to Bordeaux, where we will overnight. On your final day of your private guided tour of Bordeaux, you will explore the charming villages of Garonne and some of the most interesting architecture in the area. After a drive along the Garonne River, lined with mansions and chateaus, you will arrive in the medieval village of St. Macaire. This village stands apart from its neighbors for having carefully preserved its architectural heritage — city walls, gates, and houses. After a guided visit of St. Macaire, you will continue to the hill town of La Sauve Majeure to discover one of the most spectacular monuments of the region. Founded in 1079, its Benedictine abbey is considered of the most beautiful Romanesque landmarks in southwestern France. You will have time to explore the Abbey and soak up its picturesque views before the return journey to Paris by train.